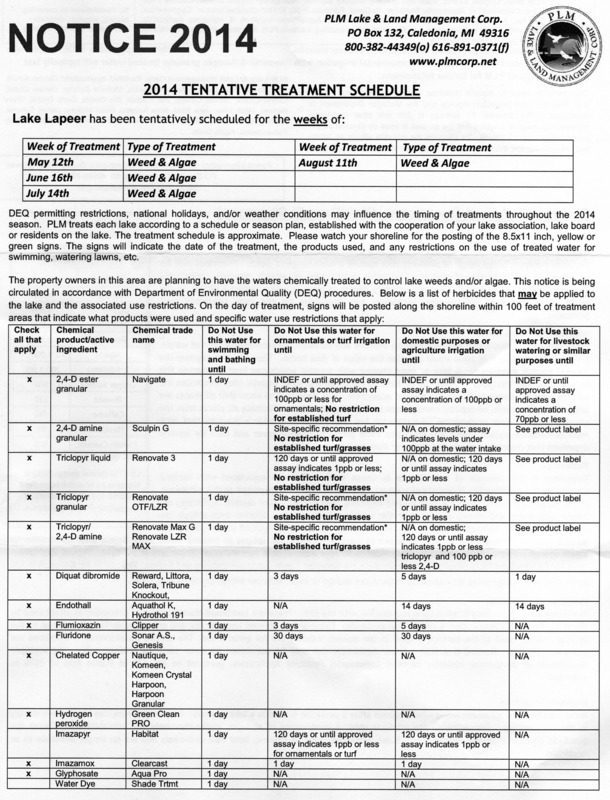 The Lake Board of Lake Lapeer has contracted with PLM, the lake management company, to provide weed control in the waters of Lake Lapeer. PLM surveys the lake in spring to determine what weeds are present and how to control weed growth. 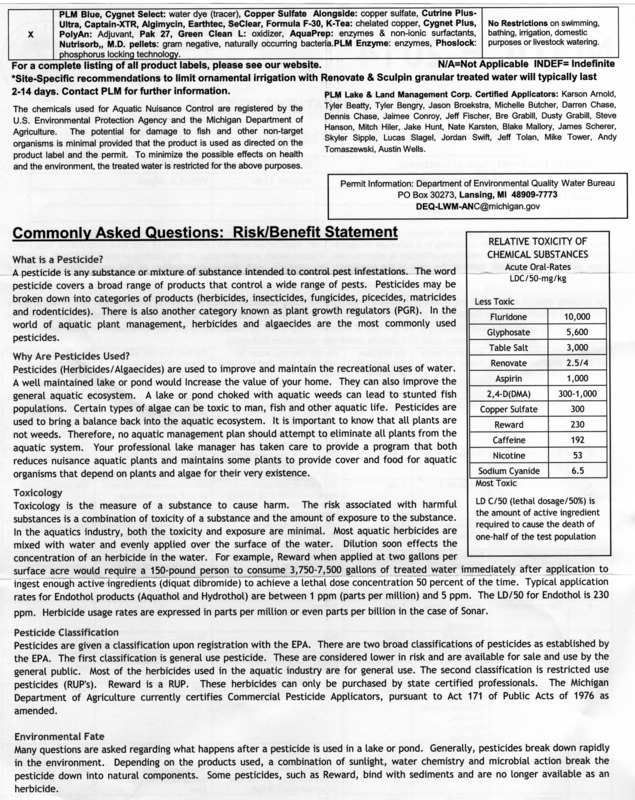 Invasive weeds, such as Eurasian Milfoil, are the target of the weed control. PLM determines the schedule for the full treatment of the lake which usually begins in May and extends throughout the summer, if needed. 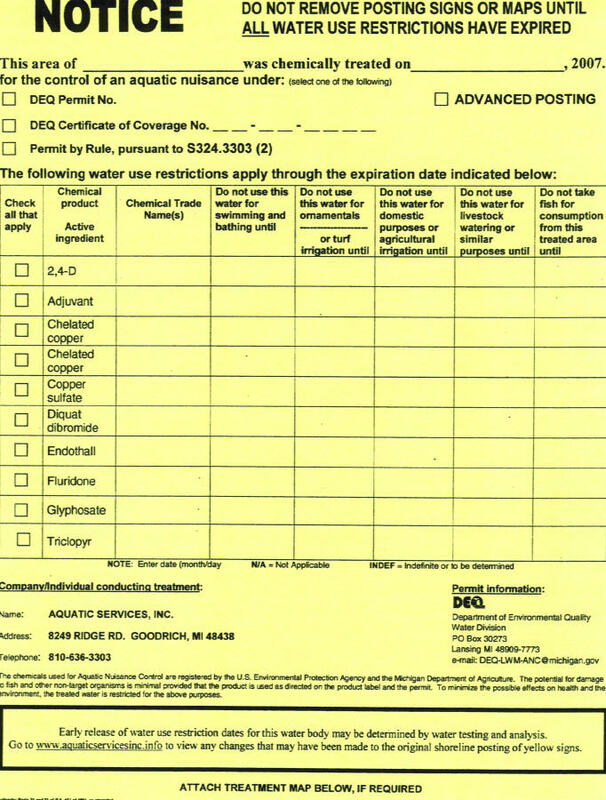 Lake Lapeer property owners will receive a notice and schedule, such as the one below, in the mail. Only those sections of the lake that are treated will be have a yellow tag in front of their property the day of treatment. If you don’t find a yellow tag posted on your property, then your part of the lake in front of your property was not treated.